Former UK leader John Major has publicly called on London to immediately revoke Brexit. Speaking in Dublin as British politics remained mired in chaos, Mr Major urged his successor, Theresa May, to seek vital time for reflection. Mr Major, who successfully fought his own internal EU battles over the Maastricht Treaty in 1991/1992, said UK and EU politics never faced such turmoil. 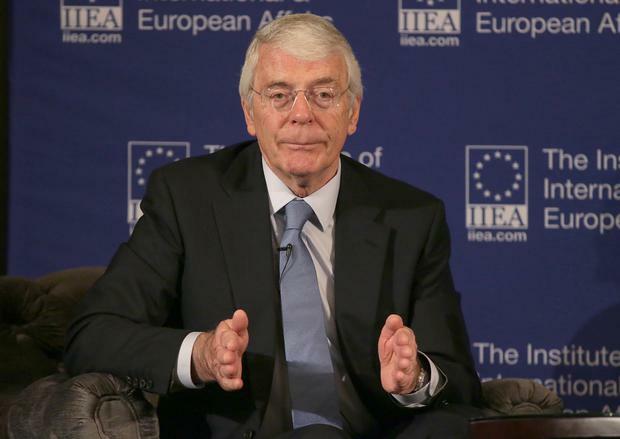 “Whether you’re a Remainer or a Leaver no one can welcome chaos,” Mr Major told members of the Institute of International & European Affairs. He urged the immediate revokation of the Article 50 EU-UK divorce process. “The clock for the moment must be stopped. We need time for reflection,” he argued. Mr Major paid tribute to former Taoisigh John Bruton and Bertie Ahern for their work on peace in Northern Ireland. He criticised Theresa May for doing a coalition deal with the DUP.